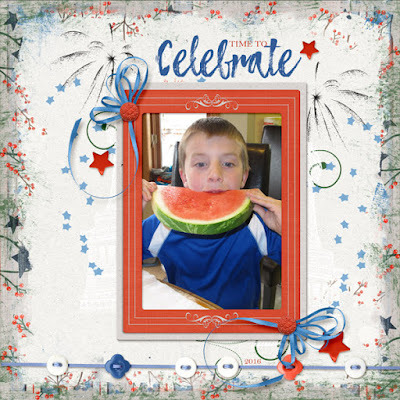 The 4th of July celebrations are a month past now and back to school will be upon us soon. 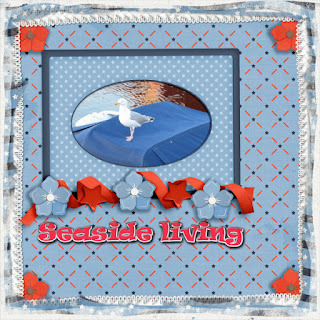 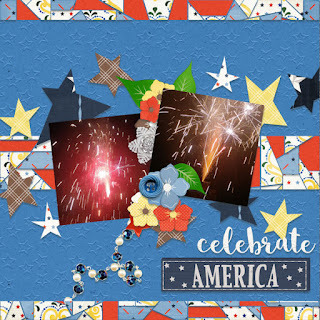 It is time to get those summer celebrations scrapped and my AMERICANA collection is super for that. 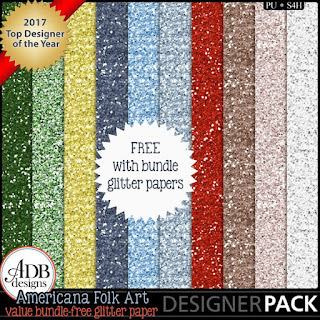 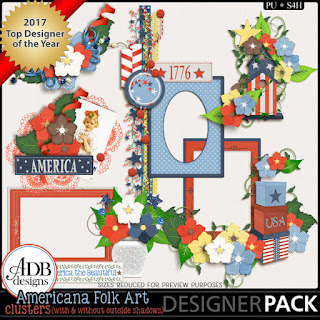 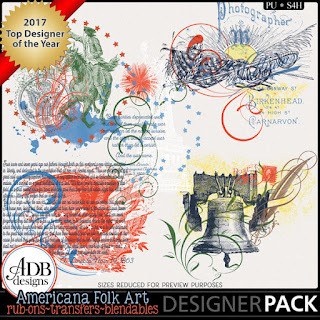 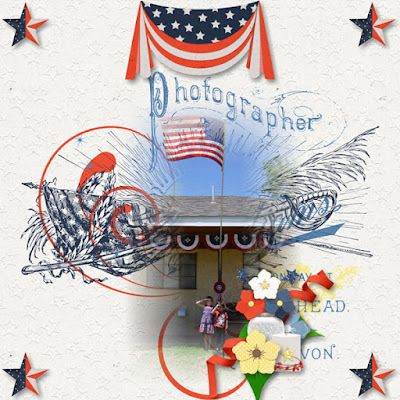 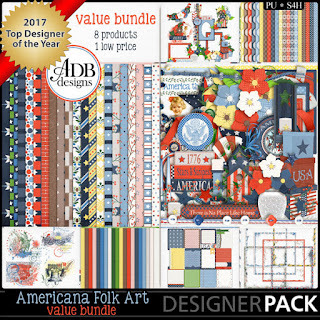 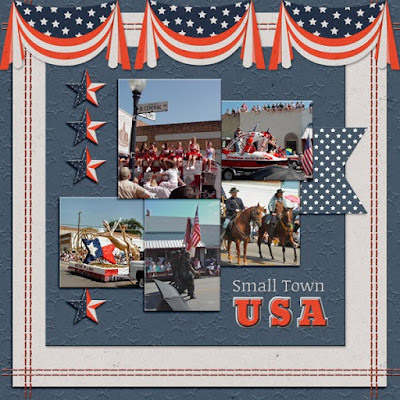 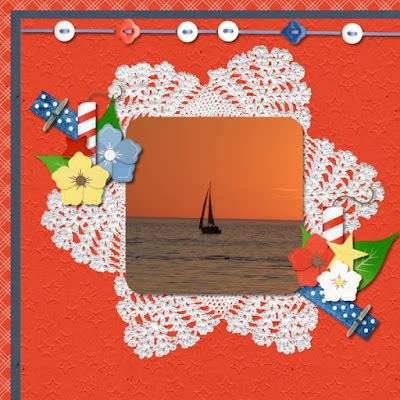 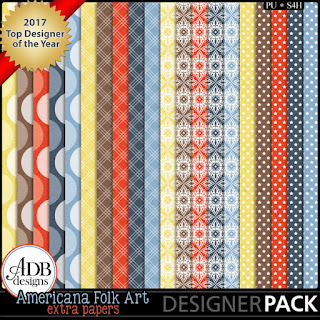 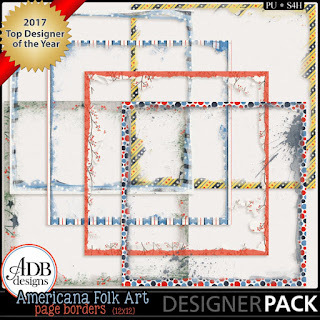 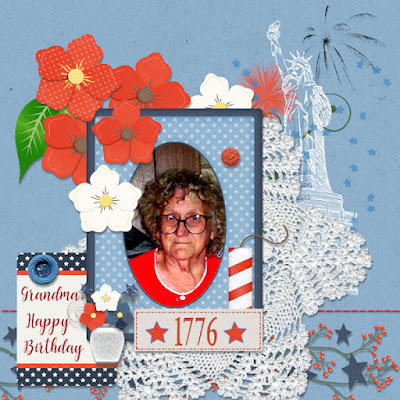 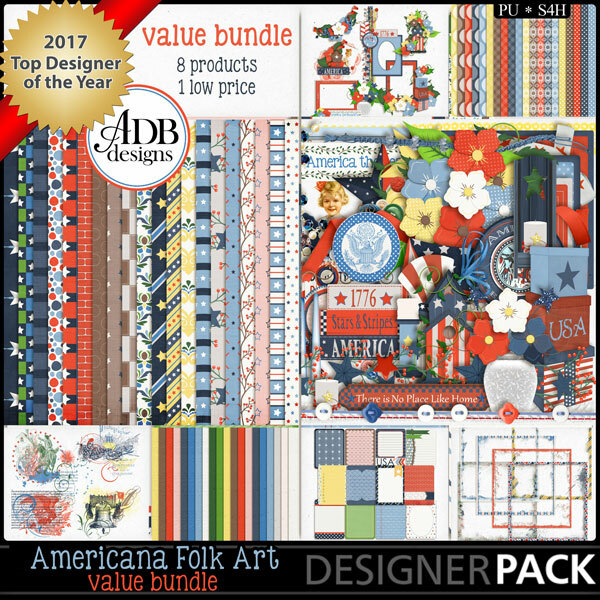 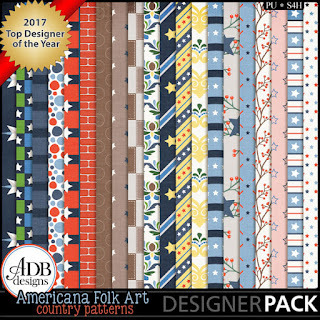 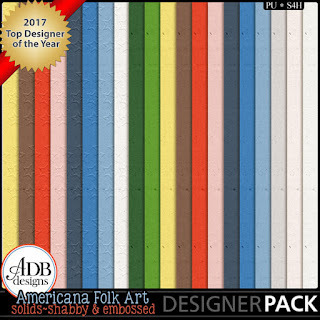 Americana is a "folk art" styled collection with lots of elements and papers to create many layouts. 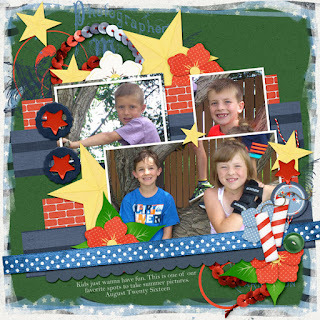 Scrap some of your summer celebration memories. 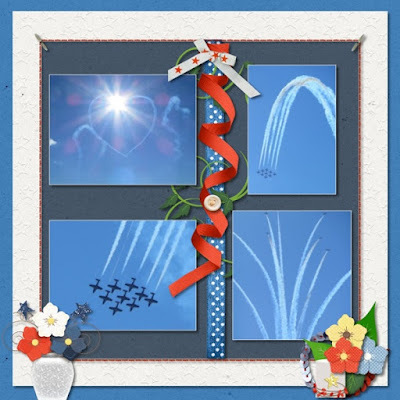 Did you enjoy firecrackers or sparklers? 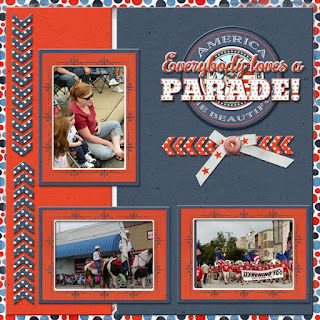 Were there parades and picnics in your home town? 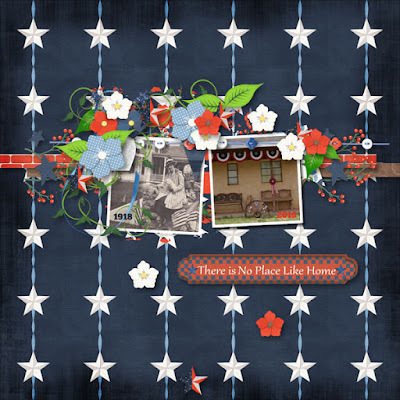 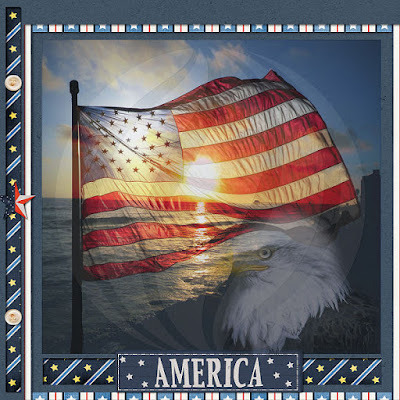 Have you taken a vacation during the 4th of July holiday time in order to be in a "special place" for the celebrations? 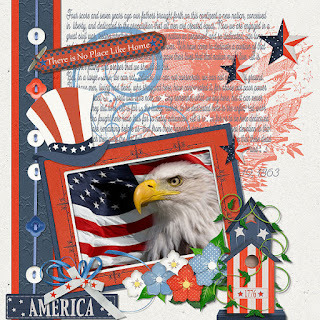 To help you get started -- I have a Page Starter Gift for you, a Quick Page made from Americana. 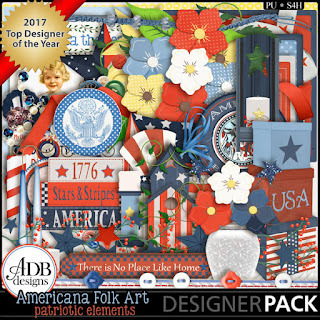 Just click on the preview to grab it in my store. 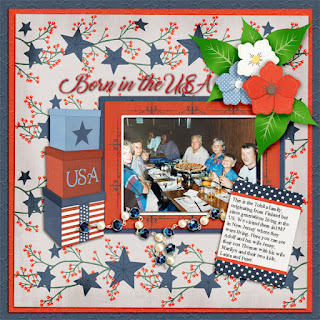 Here are the previews and some layouts from my Creative Team to provide some inspiration to get you started.